Home career 5 Expert Career Tips for the Leo Sign that will Lead to Success. 5 Expert Career Tips for the Leo Sign that will Lead to Success. The zodiac sign Leo represents lion which is considered to be the most superior sign as compared to others. Leo is the fifth astrological sign of the zodiac. People born in the period of ' June 23-August 21' belong to Leo zodiac sign. The Leo is the most dominant and creative sign among all the signs. Leo is one of the earliest recognized constellations. Confident - One of the best traits in a Leo is its confidence. They have high self-respect and always stand up for what they believe in. They have a special self-image which they always try to protect. They use their lessons to guide others as well. Optimistic - Leos always find the bright side of life. They are courageous and optimistic individuals. They have the strength to approach the positive in every situation. Born in the middle of summer, they lead a carefree life. They have a cheerful and enthusiastic personality. Leader - With their inner strength and talent Leos are born leaders. They just know what they want and have a great sense to make that possible. Ambitious - Leos are highly ambitious. When they make up mind in something nothing can stop them from achieving it. They are action-oriented and like to set their personal goals. Leos ambition and determination is received well by their friends. Straightforward - Leos are extremely straightforward. They would let you know what is exactly going on in their mind. Leos are purely honest which is a great advantage. They are warm-hearted and they want the best for everyone around them. Passionate - Leos are well known for their brave heart, passion and courage. They live their lives to the fullest. 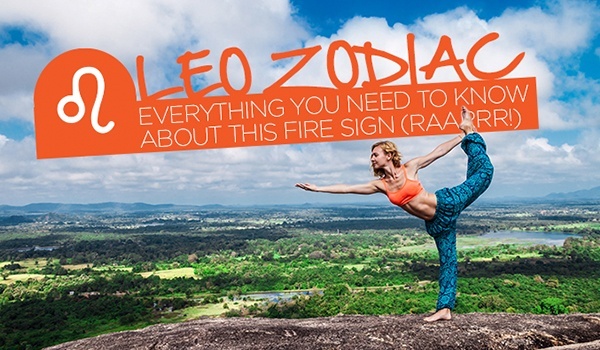 The element of Leo is fire hence they are full of huge amount of energy. Creative - The childlike spirit of a Leo is their key to creativity. Leos are able to think outside the box and leads to innovation in every field they go. Encouraging - Leos have a high energy in encouraging people and putting them forward to achieve their goals. They push the other person forward to just succeed in life. Energetic - Leo is a powerful sign. They radiate energy, strength, love and optimism. One can easily be motivated by a leo. Their optimism always helps. A Leo must be stern on his or her decision. Their confidence level must not drop down to zero. They must carry out their optimistic personality throughout their life until they get success. A Leo must be stubborn and always maintain the leadership quality among them. Their determination should not be broken down by themselves or any other means. A Leo should always manage to present themselves at their best. Their positive approach towards every aspect of life should not be interrupted by any other means. Leos are always full of energy and they should make their full efforts until they achieve their goal. The unstable mind of a Leo makes it more creative. Their strength and power should always remain the same and should not be shattered. This is why a Leo turns out to be an encouragement as well. Thus, these are the steps by which a Leo can get to the top and succeed in life.